The Museum of World Cultures (Tropenmuseum), is an ethnographic museum in Amsterdam, founded in 1864 in order to show Dutch overseas possessions, and the inhabitants of these foreign countries, such as Indonesia. Following the independence of Indonesia in 1945, the scope of the museum changed from just the colonial possessions of the Netherlands, to that of many undeveloped colonial states in South America, Africa, and Asia. In the 1960s and 1970s the Dutch Ministry of Foreign Affairs encouraged the museum to expand its scope to more social issues such as poverty and hunger. 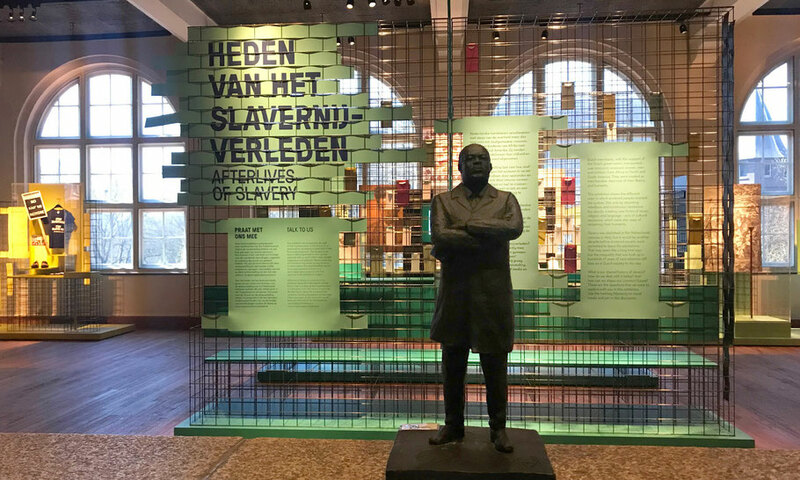 Today the permanent exhibition Afterlives of Slavery (Heden van het slavernijverleden) is on view. Visitors are confronted with today’s legacies of slavery and colonialism in the Netherlands. 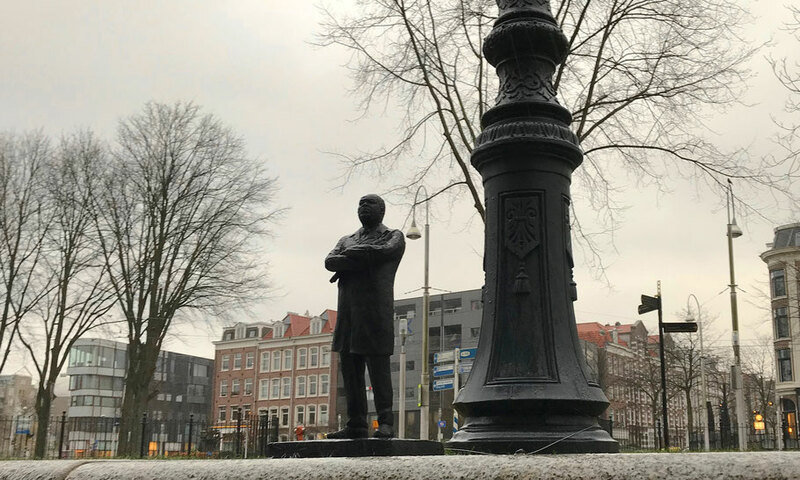 Slavery and the personal accounts of the enslaved form part of a common history shared by black and white – a past that continues to shape and influence Dutch society. In collaboration with scientists, activists and artists, Afterlives of Slavery developed a history of slavery: an exhibition with a discussion platform that places the stories of the enslaved and their descendants centre stage. For Dutch black people, the links between slavery and inequality, racism and discrimination are painfully obvious. White Dutch people may not have the same daily experience, but this common history is just as much about them. Early Easter morning in the pouring rain.. but he was welcomed soon, and included in the collection of the Tropenmuseum.